Intended as a companion to the Fundamentals of Forensic DNA Typing volume published in 2009, Advanced Topics in Forensic DNA Typing: Methodology contains 18 chapters with 4 appendices providing up-to-date coverage of essential topics in this important field and citation to more than 2800 articles and internet resources. 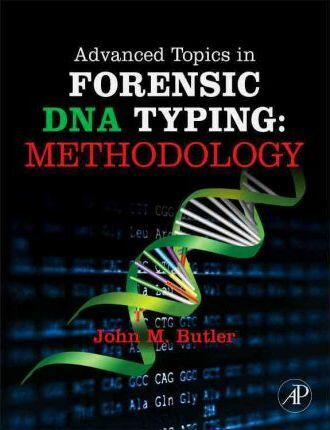 The book builds upon the previous two editions of John Butler's internationally acclaimed Forensic DNA Typing textbook with forensic DNA analysts as its primary audience. This book provides the most detailed information written to-date on DNA databases, low-level DNA, validation, and numerous other topics including a new chapter on legal aspects of DNA testing to prepare scientists for expert witness testimony. Over half of the content is new compared to previous editions. A forthcoming companion volume will cover interpretation issues. John M. Butler is a NIST Fellow and Special Assistant to the Director for Forensic Science, Office of Special Programs, at the U.S. National Institute of Standards and Technology, in Gaithersburg, Maryland. Dr. Butler earned his PhD from the University of Virginia while doing DNA research in the FBI Laboratory's Forensic Science Research Unit. He has won numerous scientific awards, including being named Science Watch's #1 world-wide high-impact author in legal medicine and forensic science over the last decade (July 2011). He has over 150 publications in this field and is a frequent presenter on the topic of DNA typing, and has authored four other DNA Typing books including Advanced Topics in Forensic DNA Typing: Methodology. For a detailed CV, visit http://www.cstl.nist.gov/strbase/butler.htm.